Intuiface - The best way to connect your world on one platform. Touch, for sure. But to aid accessibility when there are physical and environmental limitations, Intuiface also works with sight and sound. It's the universal language connecting internet-connected applications, services and devices. WIth Intuiface's API Explorer, your experiences speak it as well. Use your preferred text, graphic, audio, video and 3D formats, Intuiface takes an open approach, not forcing a narrow, set of predetermined types. Experiences are not an island. One Intuiface experience can speak with other experiences on the network and any other application running on the local device. The most traditional of interactive approaches, touch is expected. Ask a three year old to approach a screen and see what happens. Both voice activation and text to speech are key to accessibility, as well as color, font, size. Configurability is a must in public. Identification through RFID/NFC badges, beacons, presence/motion capture, gender/age detection. All are achievable today. The expression "Web Services" refers to the technology enabling two or more independent, Internet-connected applications, services, and/or devices to speak with one another. Today there are tens of thousands of public and private Web Services with more being introduced each month, many of which can be used to present and collect information in real-time. With Intuiface API Explorer you can create a live, dynamic connection between your experience and any Web Service API - without writing code! 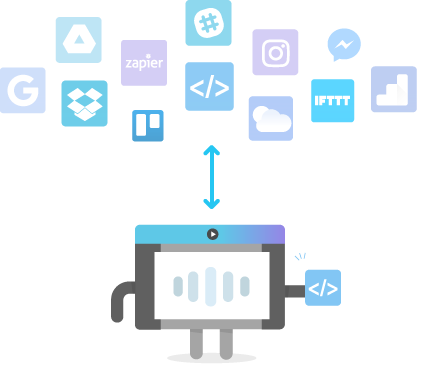 With Web Triggers, your experiences can be alerted - at any time - to events occuring in IFTTT, Zapier and any other third party apps and devices. 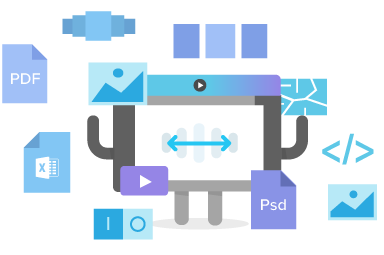 Intuiface can call any third party Web API - everything from room lighting to data updates - turning your content into a trigger source. What is the best way to tell a story? What is the best way to attract attention or impart emotion, to educate or motivate? There are lots of different ways engage and flat text, though tried and true, just scrapes the surface of what is possible. Use the traditional but be bold and consider other, possibly more versatile options as well. PowerPoint. Word. Excel. You know them, possibly love them. All can be imported and put on screen. Unlock everything you use at work. For each type of media supported - image, video, 3D model, etc. - a long list of formats can be used. Don't be limited by your software! The Web is in vogue but not every application is in the cloud. 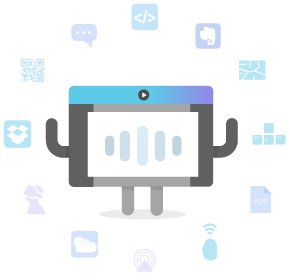 The average PC has tens of independent applications that may also have complementary value for Intuiface-based content. The same could be said about other Intuiface experiences in the same deployed environment. These things should be able to speak with one another! An event in one Intuiface experience can trigger actions in any number of other experiences. It's orchestration at a large scale! 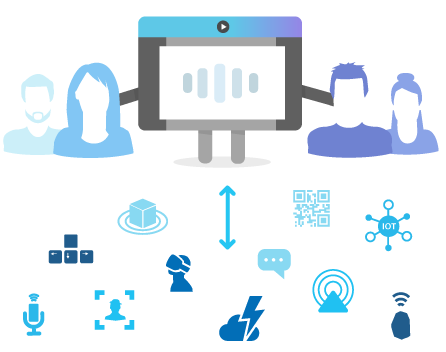 On Windows, any locally installed device or application can communicate with your content, trigger actions or sharing info. Collect information about the events you care about and do so across any numbert of Players. Measurement is the key to ROI.